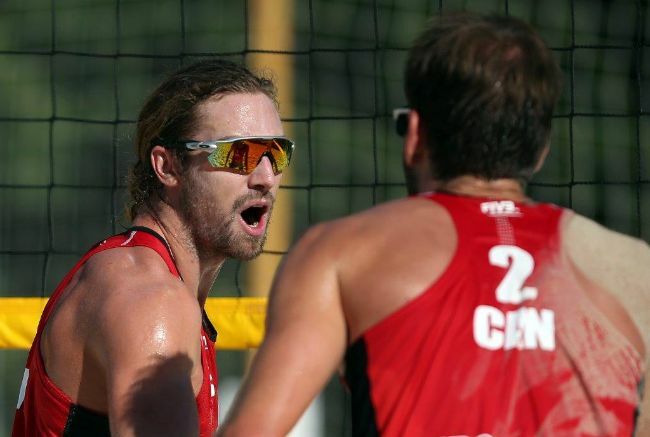 TORONTO, Canada, April 5, 2019 – The men’s duo of Ben Saxton and Grant O’Gorman and the women’s tandem of twins Megan and Nicole McNamara will be nominated by Volleyball Canada as the NORCECA berths for the 2019 FIVB Beach Volleyball World Championships in Hamburg, Germany from June 28 to July 7. These berths, based on trials concluded today at the National Beach Volleyball Centre at Downsview Park, are in addition to those already gained through the FIVB World Rankings. Saxton/O’Gorman finished ahead of Sam Pedlow and Sam Schachter and William Hoey and Jake MacNeil while the McNamara sisters edged Taylor Pischke and Sophie Bukovec. Two women’s teams of Canada are already qualified through the top 23 of the FIVB World Rankings as Brandie Wilkerson/Heather Bansley and Sara Pavan/Melissa Humana-Paredes are currently ranked 1-2 in the world. Pedlow and Schachter can potentially gain a berth depending on their ranking by early May. The Canadian pair are currently ranked 18th by FIVB.